Methyl chloride is used as a methylating agent and as a blowing agent in industrial processes. Alkylating agents and other electrophilic compounds are often detoxified in the organism through conjugation with glutathione. Glutathione conjugates are generally excreted as mercapturic acids, cysteine conjugates, or other thioethers in urine. 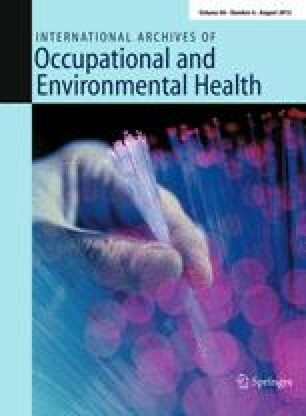 Urine samples obtained from persons occupationally exposed to methyl chloride were examined for the presence of elevated thioether levels using a previously published non-selective procedure. No significant increases were detectable. A new assay procedure was developed for the detection of methylthio compounds in urine. The method is based on alkaline hydrolysis of urine samples and subsequent gas chromatographic determination of methyl mercaptan in the headspace of acidified hydrolysates. By application of this method a greatly increased excretion of a methylthio compound in the urine of CH3Cl-exposed workers was shown. The compound was identified as S-methylcysteine. A study of the urinary S-methylcysteine excretion in a group of workers during a seven-day shift revealed that two of six workers hardly excreted any S-methylcysteine after exposure to methyl chloride.